The main objective of this review is to discuss the recent research on polymer-based surface coatings contributing to the protection against marine biofouling based on the knowledge available in literature, supplemented by means of figures, mechanism illustrations, mathematical models, and equations. A need for studies on the mathematical behavior of such coatings is emphasized, composed of quantitative evaluation of foul-release performance of coatings using mathematical equations of the concerned parameters. Apart from the synthesis of protective polymeric coatings, understanding the relationship between characteristics of coating materials and accompanying foul-release and antifouling mechanism is important. In this regard, efforts have been made to equally evaluate, simulate, and measure the appropriate performance of the coatings. By examining the physicochemical and mechanical properties of the polymers, adhesion behavior has been found to be one of the prerequisites for the success of polymeric coatings for marine applications. 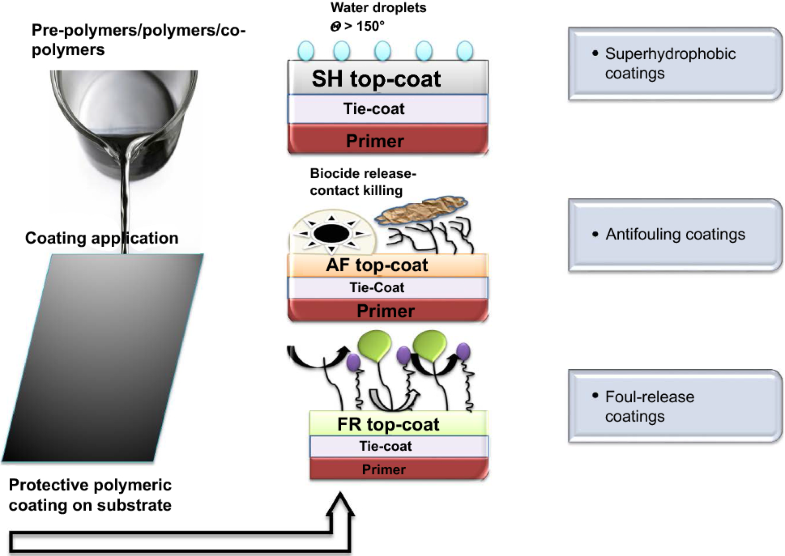 The potential development of a broad spectrum of methods used to evaluate the foul-release performance of polymeric coatings depending on adhesion behavior of fouling organisms with the coatings has been discussed. From the analysis of the factors affecting degradation of coatings, environmental interference is declared a key factor for complete degradation of polymeric coatings. 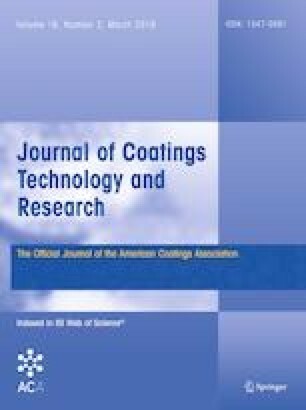 This review opens up new research directions to improve the adhesion performance of polymeric coatings for ship hulls designed with tunable viscoelasticity by the incorporation of elastomeric polymers (like polydimethylsiloxane) into stiff polymers (like epoxy resins) with and without the utilization of additives, modifiers, and nano-fillers. In addition, it provides methods to improve the foul-release performance of such coatings that work on adhesion behavior of biofouling species attached to the coating surface.